Amon Tobin in Montreal or Quebec City? Inform me about the next events for Amon Tobin. Enroll yourself to our priority waiting list for Amon Tobin to be alerted when new tickets are available. Filling this form doesn't engage you to any purchase. 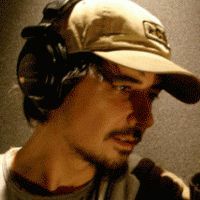 The Brazilan born Amon Tobin will be part of the MUTEK Festival of Montreal, which runs from 1 to 5 June 2011. The artist will release his 11th album on May 23, titled ISAM. This will be one of the 3 albums released in 2011 for the electronic music artist, who also produce a new album with the duo Two Fingers and a remix album of the soundtrack Chaos Theory.